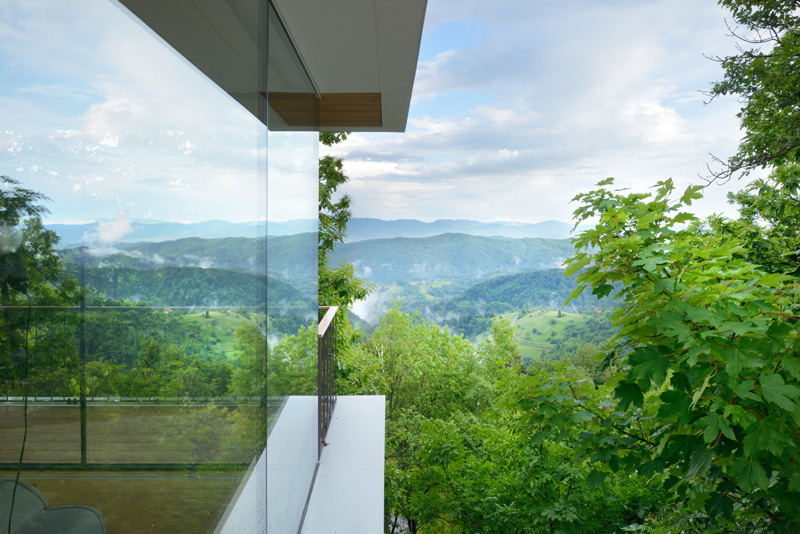 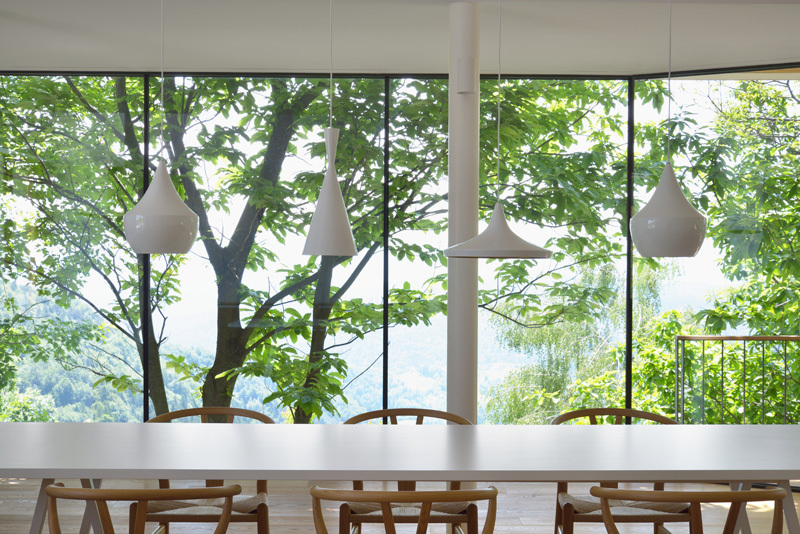 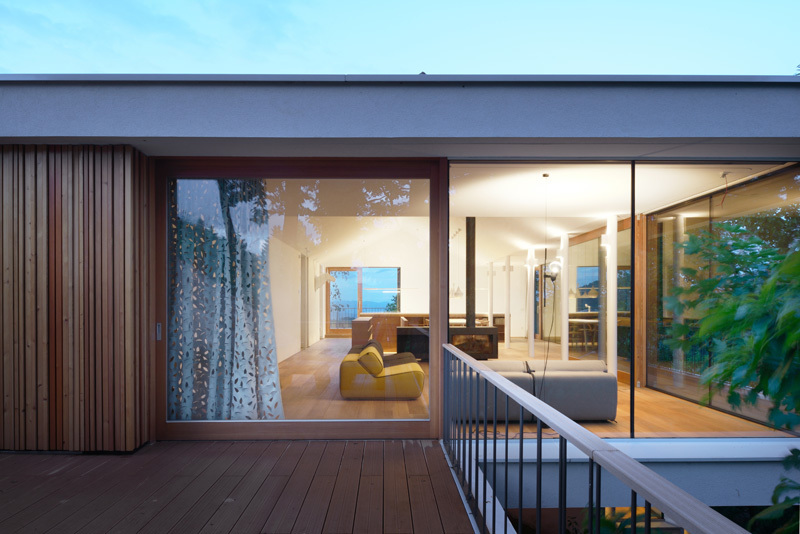 multiPlan arhitekti designed a home in Ljubljana, Slovenia, that takes advantage of its location on a hillside to enable views of the surrounding countryside. 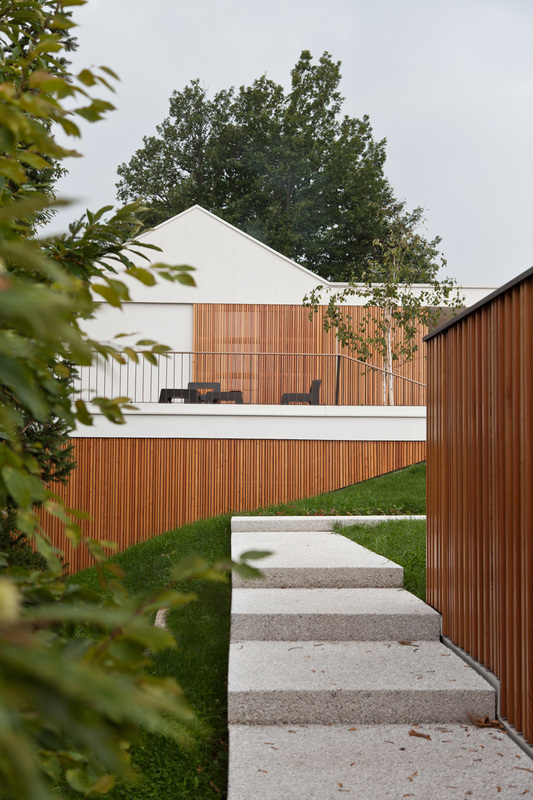 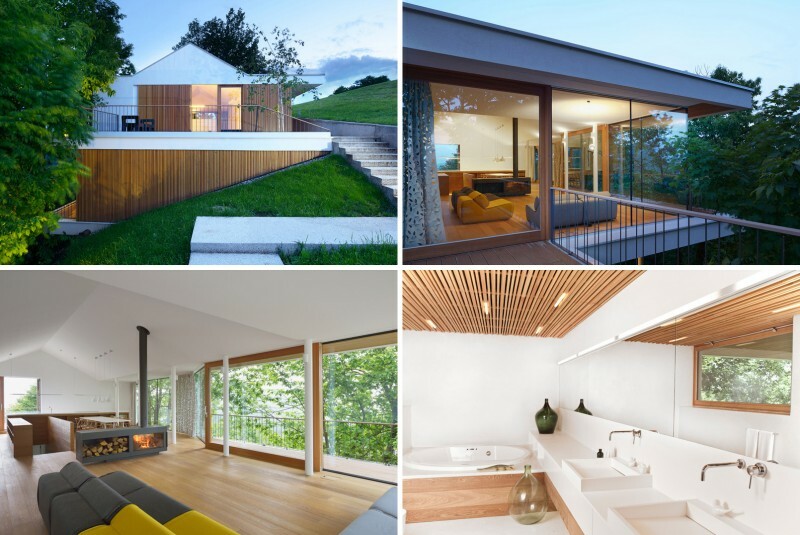 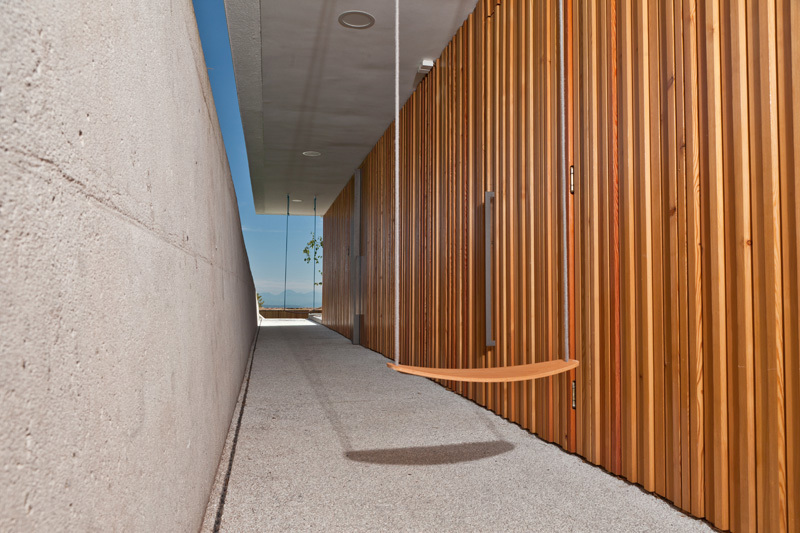 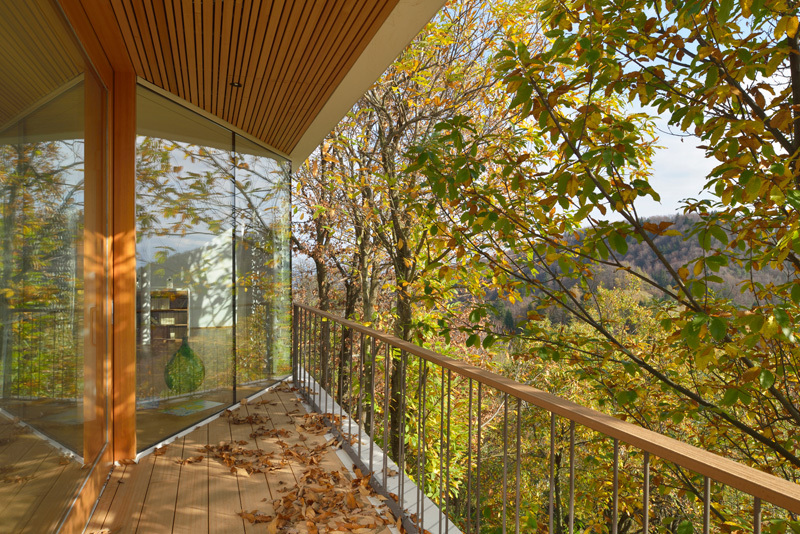 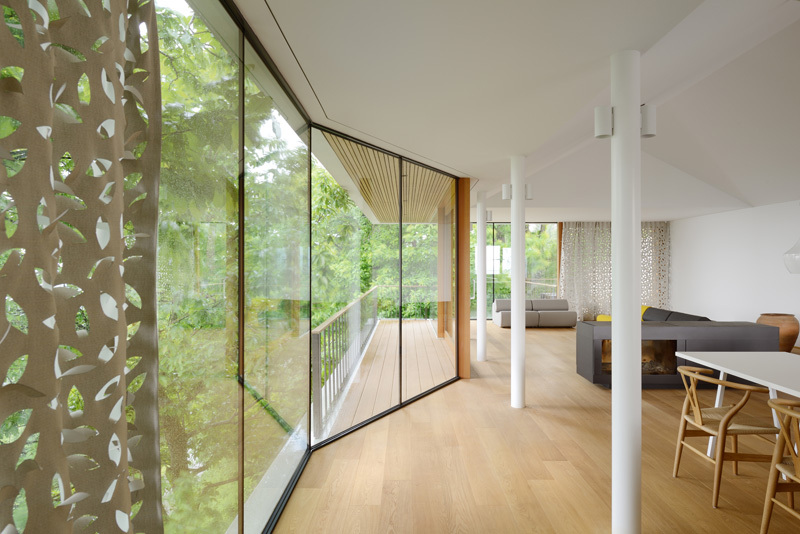 The single-family house is located on a superb viewpoint, where the view shows an uninterrupted image of the surrounding hills, to the outlines of the capital city of Ljubljana, from the tree canopies to the green meadows and forests. 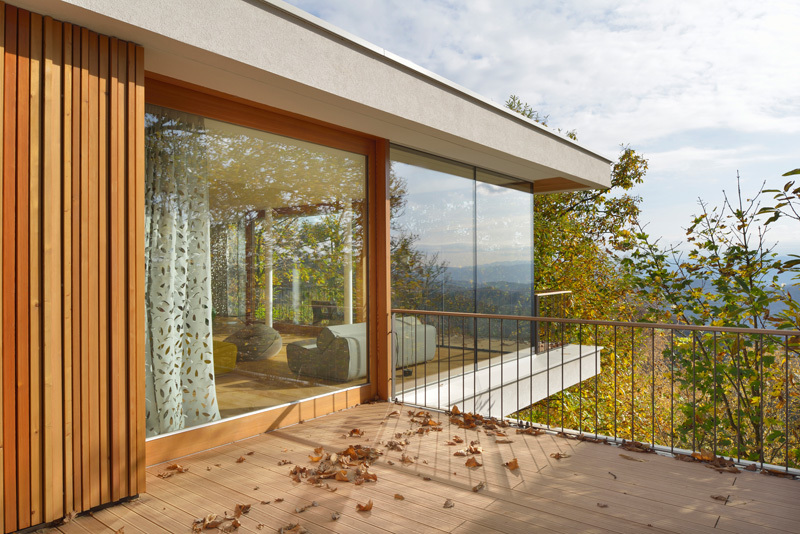 In the context of today’s requirements and preferences, sustainability and continual development guide the design, the living concept is focused on the lifestyle of a modern man, who lives in the heart of nature, in immediate vicinity of the city. 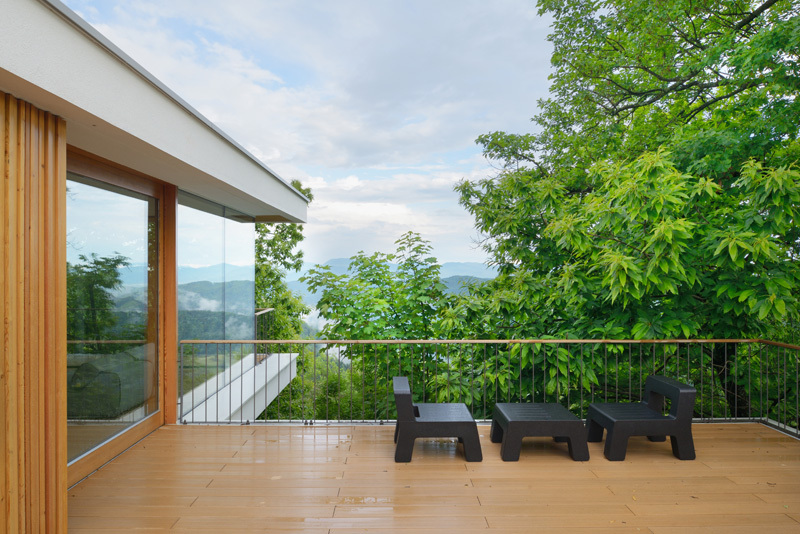 At almost seven hundred meters above sea level, the building is set into the space, in a way that is most respectful to the natural environment. 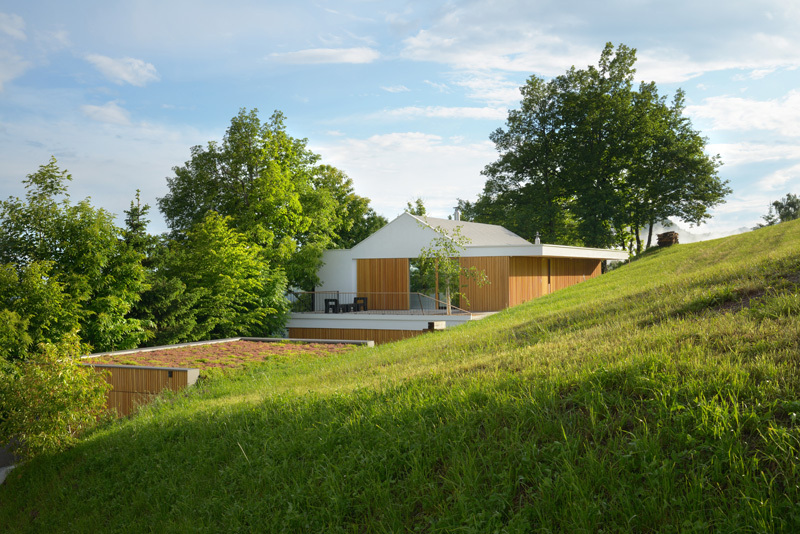 The plot is extremely long and narrow, very steep too, the slope spans eleven meters in altitude. 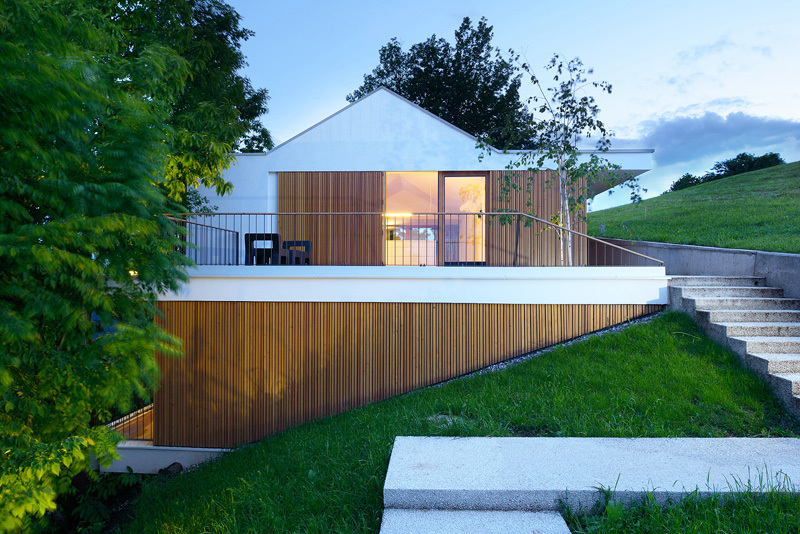 It is a building design where the terrain does not conform to the house, but the house conforms to the existing slope. 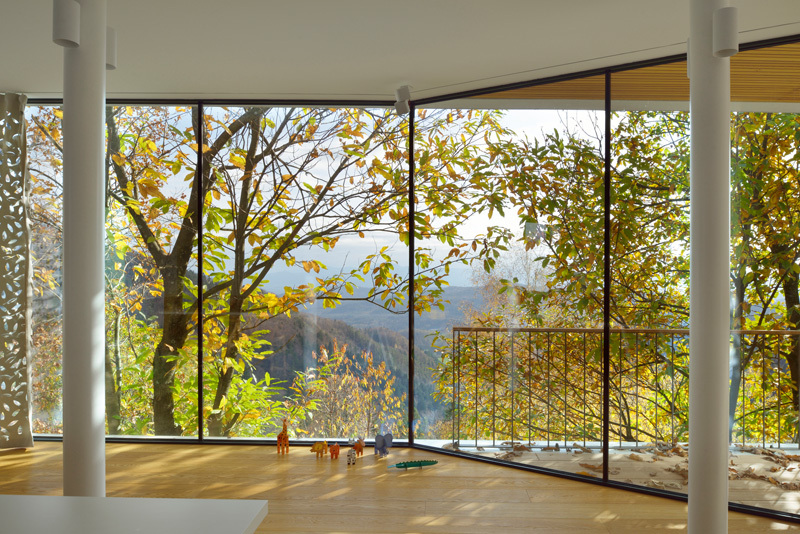 The feeling of lightness is emphasized by light steel construction, with large panoramic glazing of the south facade, allowing unlimited expansion of space from inside to the spacious environment. 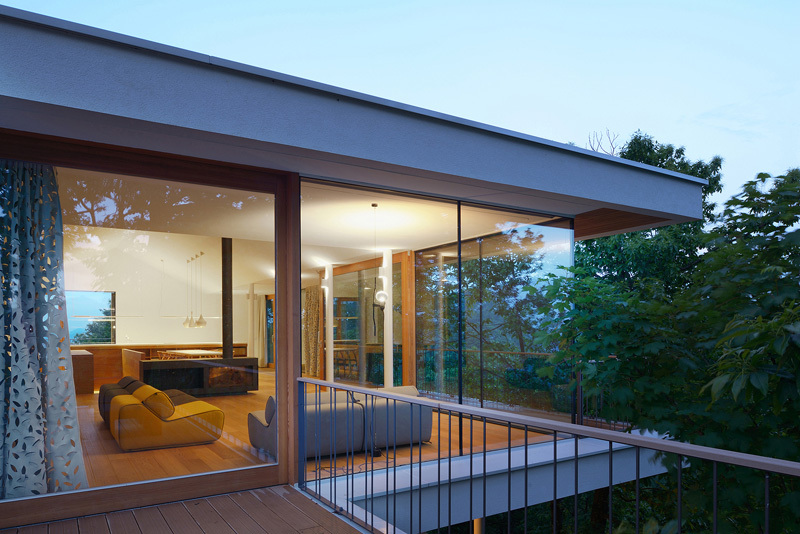 In contrary to the southern part, the northern is leaning towards the ground, while the upper level is public, designed as access to the building. 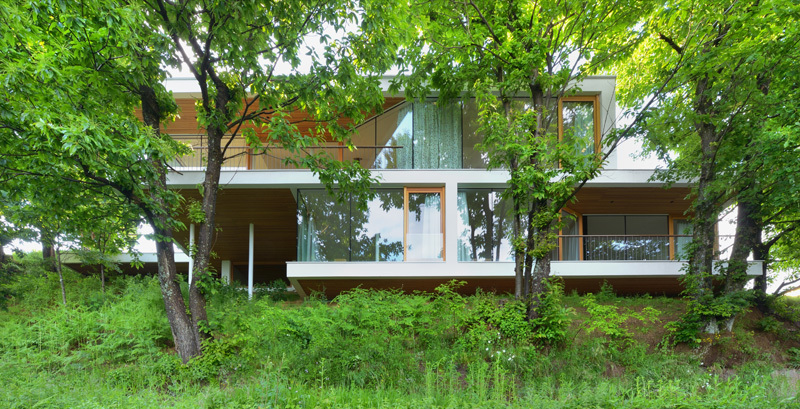 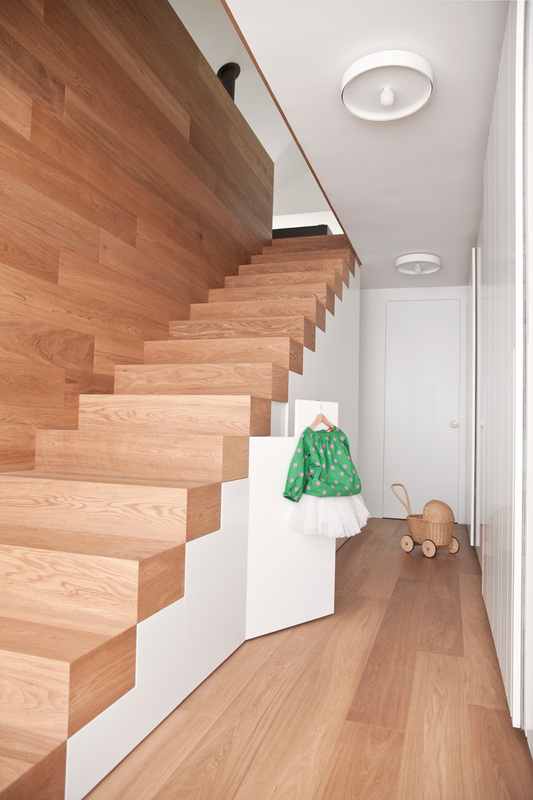 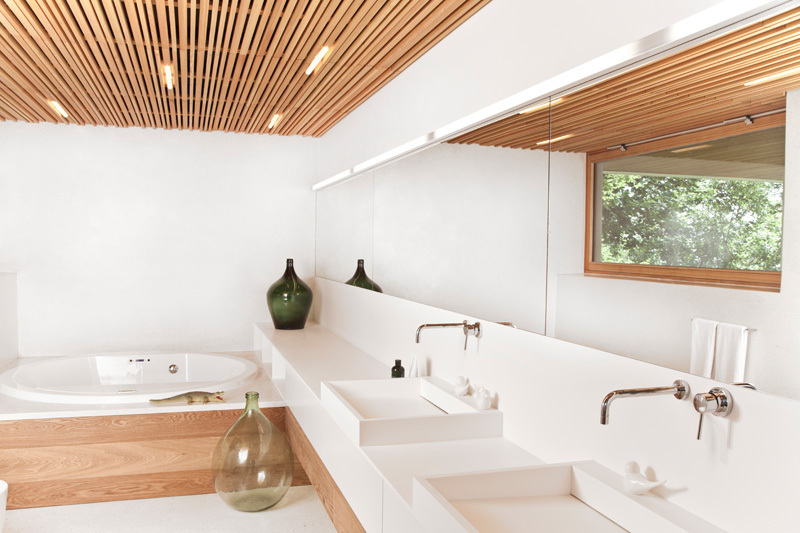 This way the house has a dual, hybrid design, not only in cross-section, but also in plan. 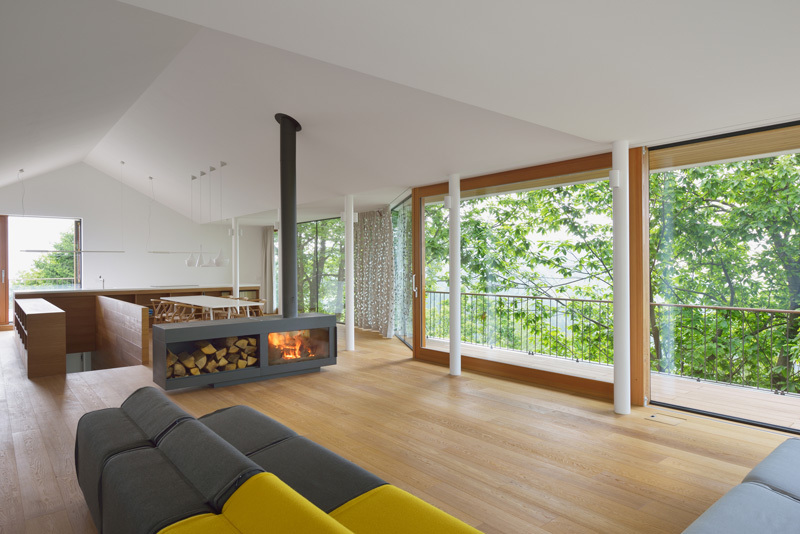 Room layout by floors is different from the usual: living area in the top floor, where the view is continuously oriented outwards, while the lower part houses the more intimate sleeping quarters. 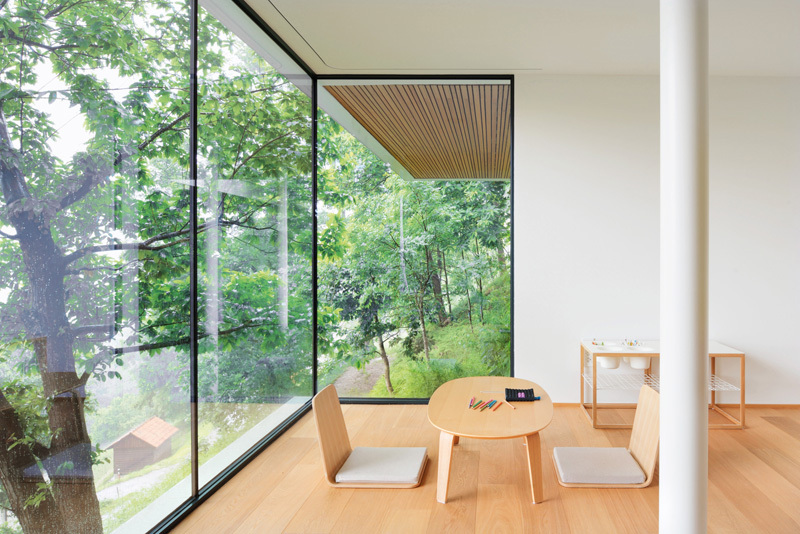 The house is distinguished by a careful placement of the building in the space and its subtle integration into natural and rural environment.